Touch down Italy! Enough of the build up, planning, shopping, packing and all else we’ve bombarded you with recently – now it’s time for the action to begin. 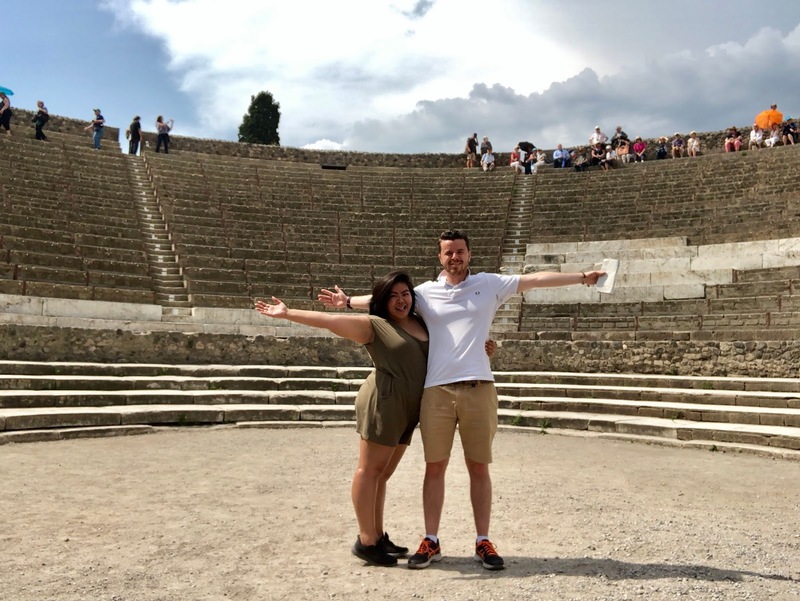 We start our adventures in the area of Naples, where before we’d seen beyond the airport and our Air Bnb we were straight on our first train to Pompei, which is just 35 minutes away. 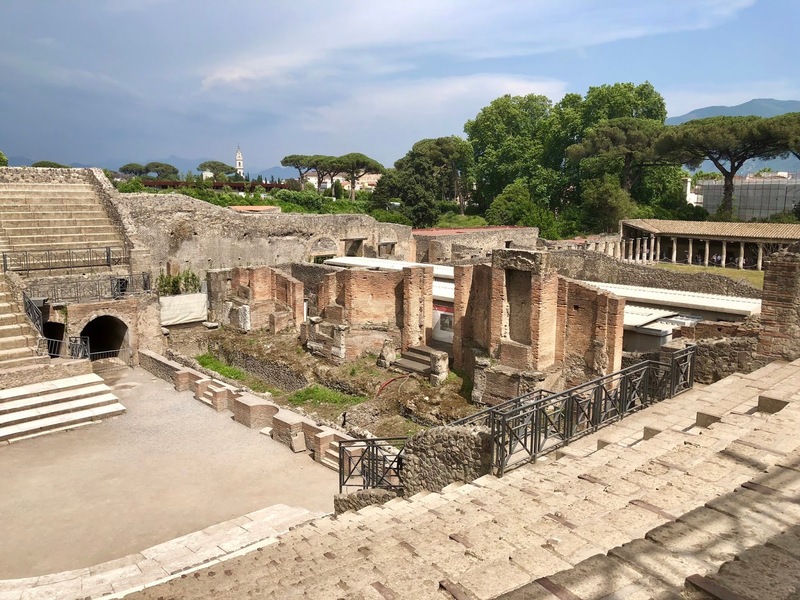 Top tip: there are a number of route options from Naples to Pompei but we recommend taking the Trenitalia train, not the Circumvesuviana – these trains make Northern Rail look like the future as we unfortunately found out the next day on our way to Sorrento. You buy your tickets on the day from the station. 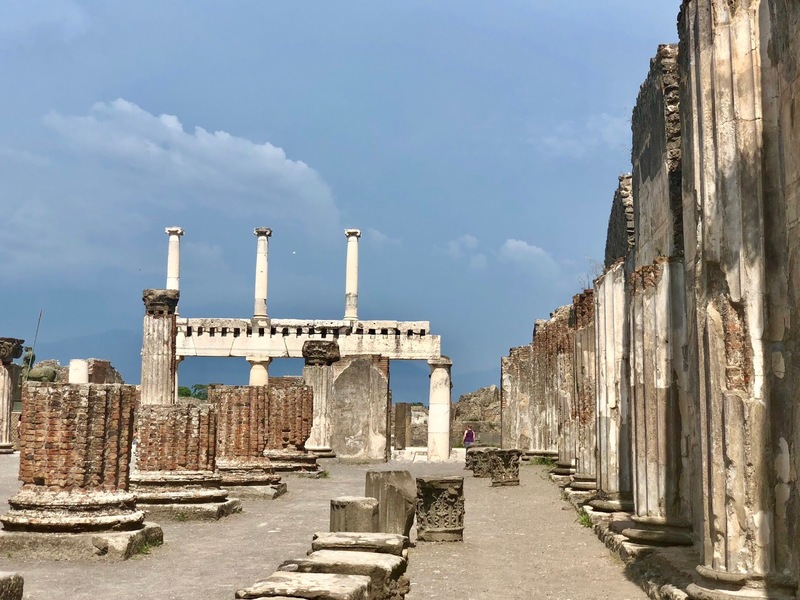 History lesson coming up… the city of Pompei was mostly destroyed and buried in ash from the eruption of Mount Vesuvius in 79AD. It’s 11,000 inhabitants died and the site was lost for 1,500 years. This until its rediscovery in 1599 which unearthed the objects that lay beneath the city which were amazingly well preserved due to the lack of air and moisture from the tons of ash covering them. 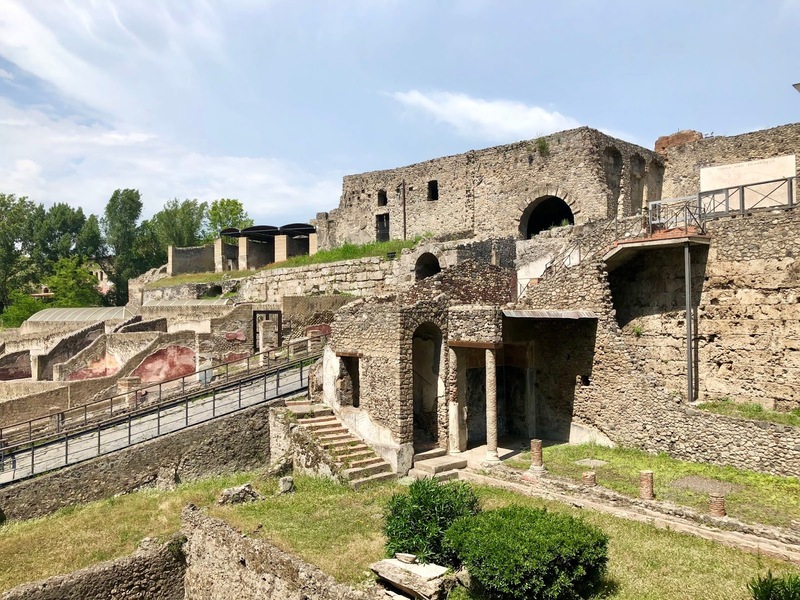 Pompei has now been a tourist destination for over 250 years. Whilst we chose to navigate and roam around ourselves, tour guides are on hand to enlighten guests of each piece of architecture and offer a comprehensive and effective route of the vast terrain. Highlights include the amphitheatre, Basilica and brothel that we were stunned to find along the way. Simply wandering the uneven paved streets, discovering gardens and the shock of body casts will certainly live long in the memory. 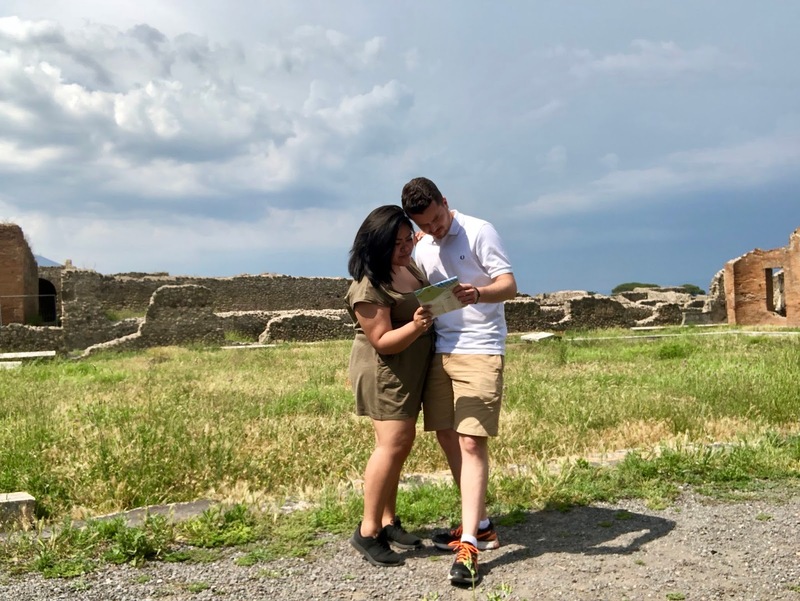 It’s easy to see why Pompei has become one of Italy’s top attractions but with the area being so large and open all day long, it never felt crowded and despite the extremely hot weather, it was the perfect leisurely introduction to this wonderful country. Aaaah I’m SO jealous (as usual). Italy is one of the places I’m dying to visit and you went to 3 places that are on my bucket list! Pompeii looks amazing – I’m always so surprised that some parts of it still look so complete and they haven’t collapsed after this long. I’m going to make it a goal to go there myself one day!